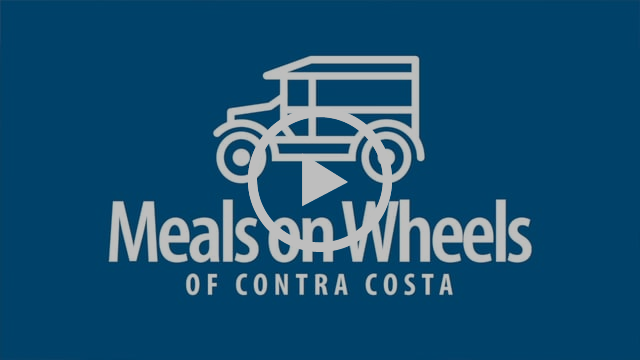 Meals on Wheels of Contra Costa, Inc. celebrates our Veterans and their service to our country. Hear Edward, a Vietnam Veteran, tell his story, how important it is to have a nutritious meal and someone to talk to everyday. Edward: "It's not just a meal, it’s friendship. The meals and the human contact have improved my health and my outlook on life. I have something to look forward to every day. The volunteers go over and beyond and I appreciate them with all my heart." Between the fires in California and hurricanes in Florida, Houston and Puerto Rico, this fall has seen donor appeals skyrocket. compassion fatigue as described by Charlie Garlfield in his book, Sometimes My Heart Goes Numb. That's why we are so grateful to you, our loyal donors, who are passionate about taking care of our homebound elders.You have contributed to providing over 416,000 hot nutritious meals this year to recipients like Edward. November seems to have arrived quickly this year. Perhaps it’s a result of getting older and time seeming to go faster. Already the holiday desserts are filling the supermarket and recipes are flooding the Internet. Are you looking for a healthy alternative? Chia seeds are mini powerhouses packing more calcium than milk, more antioxidants than blueberries and more Omega-3 than Salmon.Their texture can take a little getting used to, but they are so versatile and are a great protein-packed addition to many recipes because of their ability to thicken and gel. Try with some chopped soaked nuts, fresh fruit or even chocolate shavings for breakfast or a delicious low-sugar dessert. Delicious and healthy chia seed pudding packed with protein, Omega-3, antioxidants and calcium that you can make in under 5 minutes. For Blended/Smooth Version: Place all ingredients in blender and blend on high for 1-2 minutes until completely smooth. For Whole Chia Seed Version: Blend all ingredients except chia seeds in a blender until smooth (including any added flavors, fruits or chocolate). Whisk in chia seeds. Pour mixture into a jar or glass container and place in the refrigerator for at least 4 hours or overnight to let gel. Stir or whisk a few times within the first hour to help it gel evenly. Make this at night to have ready for a fast breakfast the next day. It is also great to make in the morning for a delicious pre-made dessert at night.